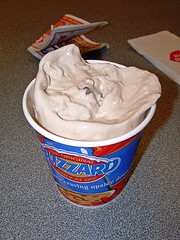 Blizzards paid for by your Virginia real estate consultant? 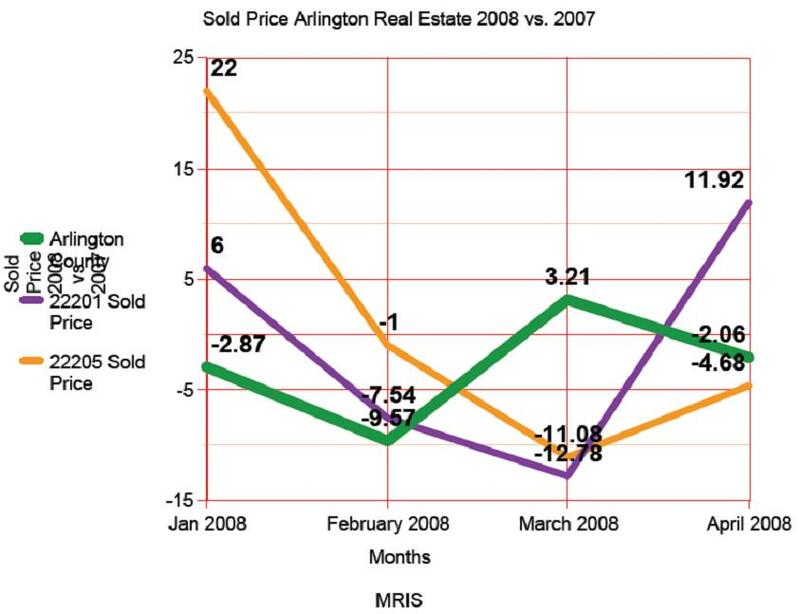 On the sold price front for Arlington you can see the changes in price as % for 2008 vs 2007. The green line represents the entire county of Arlington VA. Depending on which homes happen to sell in a month the #s can vary….The county started off -3% and is back there again after April 2008: -2% median sold price. For 22201 the year started at +6% for average sold price (purple line) with wide fluctuations since. All once can do is take the listing you like and analyze it in particular. It’s hard to generalize more than that. Year to year averages are a good thing–month to month makes for a lot of fluctuations into which one cannot read too much. If somebody was thinking about buying a condo in Clarendon based on March’s data they might be freaked out–yikes -11% median sold price compared to 2007. Then peek at April and it’s +11.92% for 22201. Don’t get too excited about market reports…just find the right home that speaks to you and my team will shoot straight and aggressively on what it is really worth and negotiate from there to try to beat the market. It’s all case by case. Prices seem lower than a year ago and I believe the year end reports will bear that out. However that can be neighborhood and building specific–that’s how local real estate is in Arlington VA (and everywhere else for that matter). How about inventory–active listings? In general inventory has been up significantly for Arlington county. however as of the last 2 months it is decreasing a bit–but like real estate in general, it is hyperlocal and depends on the zip code. 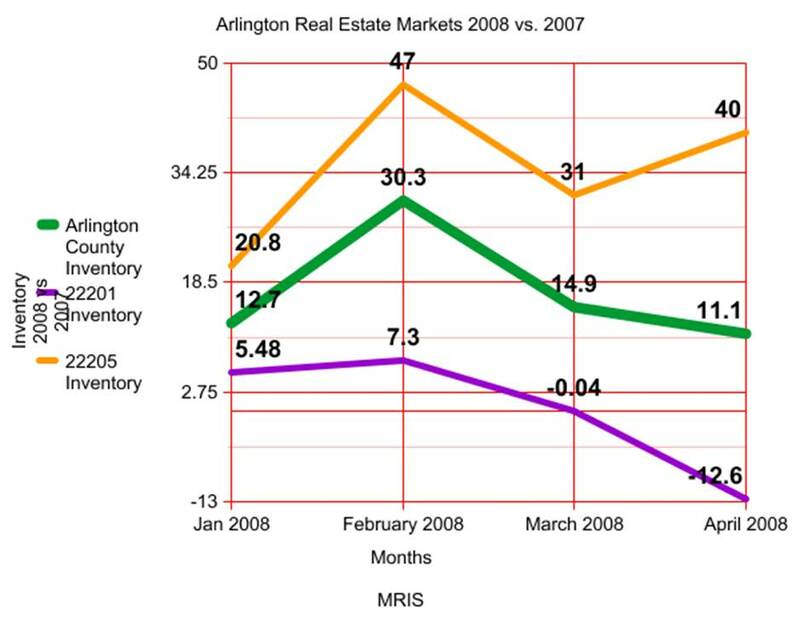 For the most part the # of listings is up 11% for Arlington as of April 2008–see green line below. For the Clarendon, Courthouse areas inventory was never as increased as the rest of the county. In fact is it running counter and the Clarendon 22201 inventory is -12% now. 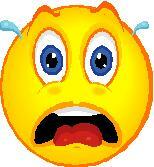 This means prices should hold strong….Many of my buyers have been frustrated at the lack of inventory. I just sent out a postcard to a building asking if anybody had a 2/2 they were willing to sell. That’s service. While I didn’t have time to check each zip code for comparisons it was interesting to note that 22205 where I used to live in Madison Manor had a huge increase in inventory versus a year ago +40%. Something similar happened in North Springfield a year ago I stated immediately that prices therefore had to come down. And they came down big–a solid 15%. Will I say that for 22205 in Arlington? No it’s a different market that is better insulated. But prices will have to depreciate there it seems. Let’s check back in on this one in the Fall and see where we’re at…. One thing is for sure…demand is down. 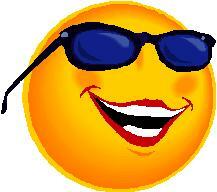 For the most part there have been 30% fewer transactions this year than last year. This means the shiny homes sell and the no charmers get to sit and sit till their prices drop. 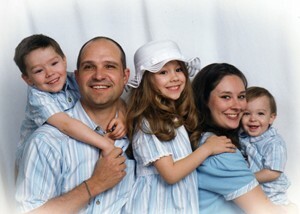 Which sets of photos does more for you? The small dark ones by the data entry agents (aka “listing agents”) or mine? The reality is that most listings are handled in a pathetic manner by even the well known agents out there. When you google “arlington va real estate” do you easily find your home for sale? When you google “clarendon condos” do you easily find your home for sale? If not you probably listed with the wrong agent, paid more for it, received far less exposure, and got some great small, dark, and blurry photos as your cherry on top. 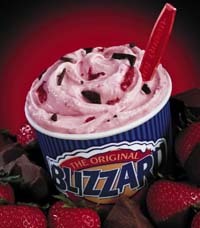 Speaking of which…where’s my blizzard?